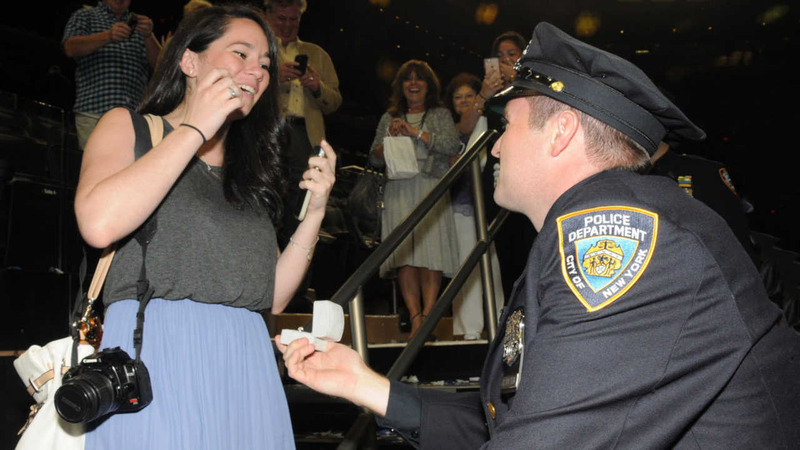 MIDTOWN, Manhattan (WABC) -- There was a sweet surprise at Friday's Police Academy graduation, when a newly sworn in NYPD officer proposed to his girlfriend. 27-year-old Peter Frantzen got down on one knee and popped the question to Kristie Statuto in front of their friends and family. The touching moment came right after Frantzen and some 1,200 others graduated at a ceremony at Madison Square Garden. Statuto said yes! However the couple doesn't have much time to celebrate - Frantzen starts his new career on Monday.